The Federal Government has restated its commitment to the completion of the trailer park in Apapa and the Apapa-Oshodi-Oworonsoki-Ojota expressway project in Lagos. Mr Funsho Adebiyi, Director Highways, South West in the Ministry of Power, Works and Housing gave the assurance during an inspection tour of some road projects in Lagos. “The contractor has mobilized to site and has commenced work. The preliminary work include site preparation, survey work, design work, geothestic investigation, and the site office is also part of it,’’ he said. Adebiyi said that reinforced concrete pavement was going to be used in place of the former flexible pavement to ensure durability of the construction. While inspecting the trailer park in Apapa, the director said it has been completed to some extent but could not be put to use for safety and security reasons. He said that the toilets, restaurant and police station as well as lighting facilities had been completed. “The material for the shoreline protection is being imported and to fast track the completion, we told the contractor to move in some of those materials by air,’’ he said. 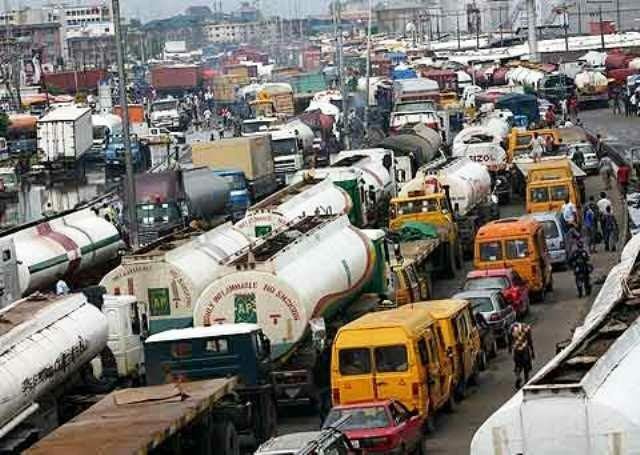 Commenting on the Apapa-Oshodi-Oworonsoki-Ojota Expressway project, Mr Adedamola Kuti, Federal Controller of Works in Lagos, said that a stakeholders meeting was held with service providers. He said this was to ensure speedy relocation of communication and electrical cables, water lines and other services in the Right of Way of the project. He pleaded for understanding of residents of Lagos as the project progresses. The Federal Government awarded the Apapa-Oshodi-Oworonsoki-Ojota Expressway project to AG Dangote Construction Ltd. at the cost of N73bn in November 2018 with a completion period of two years.